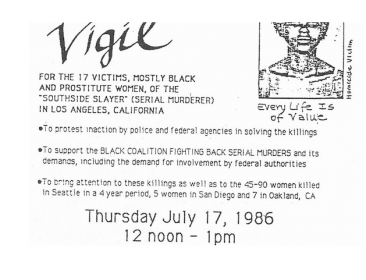 Drawing from a broader research project on the serial murders of mostly racialized women in South Los Angeles (1980-1995) and East Vancouver (1985-2000), this presentation will focus on the conditions of the life and death of 15 year-old P.B. 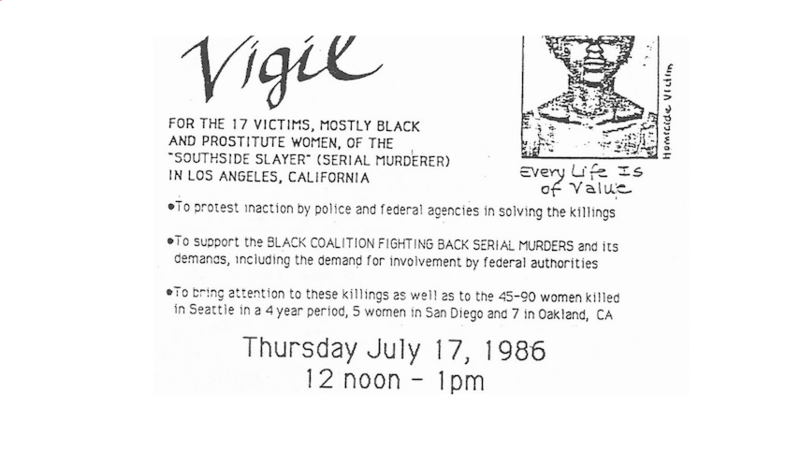 (1987-2002, Los Angeles). It is a feminist social autopsy or forensic analysis in the sense that I bring multiple overlapping structures and processes to bear on the serial murders of P.B. and other women, asking: what made these particular women so vulnerable in this part of the city during these years? To assist in the development of a counter-narrative to media coverage of serial murders and online crime maps that demarcate zones of death and abjection, I use counter-mapping and multimedia storytelling techniques. Jenny Burman is Associate Professor of Communication Studies in the Department of Art History and Communication Studies at McGill University. She teaches and writes on postcolonial thought, critiques of multiculturalism, and the intersection of urban space and gender/race-based violence. She is the author of Transnational Yearnings: Tourism, Migration, and the Diasporic City (UBC Press), as well as articles in journals such as Cultural Studies, Cultural Studies <=> Critical Methodologies, Topia, and small axe.